Discussion in 'The Glittering Caves' started by Karak Norn Clansman, Mar 28, 2019. Ladies and gentlemen, I want to share something extraordinarily well crafted with you. It is a true gem of fantasy, carved by the skilled hands of master artist Sergio Artigas (whose gallery is well worth a look - this is all posted with his permission). Here, you will find a learned and imaginative exploration of Middle-Earth's Dwarves like you never have seen before. It is a magical, and it is golden, and it is true to the spirit of the setting. If ever you are looking for inspiration to craft historically based fantasy settings, then this is a source of purest water to drink from. If ever you wanted to see the Dwarrows of Tolkien's world brought to life and carefully expanded upon the canon Legendarium, then this is for you. You have found the Halls of Stone. The seven houses of the Khazad. An enduring theme in my mind that intrigued me from the first time I read Tolkien’s work. I have been developing this idea for years now and it is with great satisfaction that I present you my take on the seven clans of the dwarf kind. There is hardly any information to be found on the books though, so I had to ground my designs on what could be guessed from their names and the sparse information you have from canon material and also by loosely comparing their rough geographical location on ME with real word maps and cultures and of course filling the gaps with a lot of guess work and plain imagination. I imagine them as portrayed here to be somewhere on the second age, and wanted to give hints of their cultural traits and location through their looks. I did an extensive research for that, specially maps, but they are very confusing and sometimes contradictory or incomplete, so any critics from my lore master friends are most welcome. 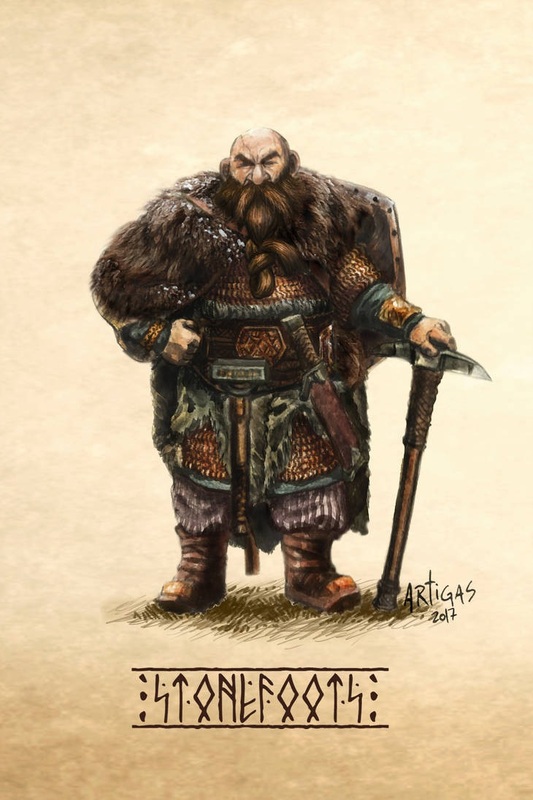 Longbeards: Noble and wise rulers, originally from the northern part of misty mountains on Mt. Gundabad (under which Durin himself is said to have awaken) and later on its southern ranges where they founded the great city of Khazad-dum, dug under the three peaks- Barazinbar, Zirakzigil and Bundushathûr. Regal, prosperous and traditionalist, they are the righteous heirs of Durin I The Deathless, and are therefore the supreme rulers of the dwarf kind. The Longbeards are held as a divine and sacred lineage by the other clans and command great power. Ironfists: Proud, strong and fierce, the Ironfists are renowned for their formidable warriors of noble descent and their military might. Hailing from far up north on the Orocani mountains and near the gulf left by the now extinct sea of Helcar, they are said to be the first to unveil the secrets of Iron and Steel, which they brought to Durin as their gift when they answered to his call. 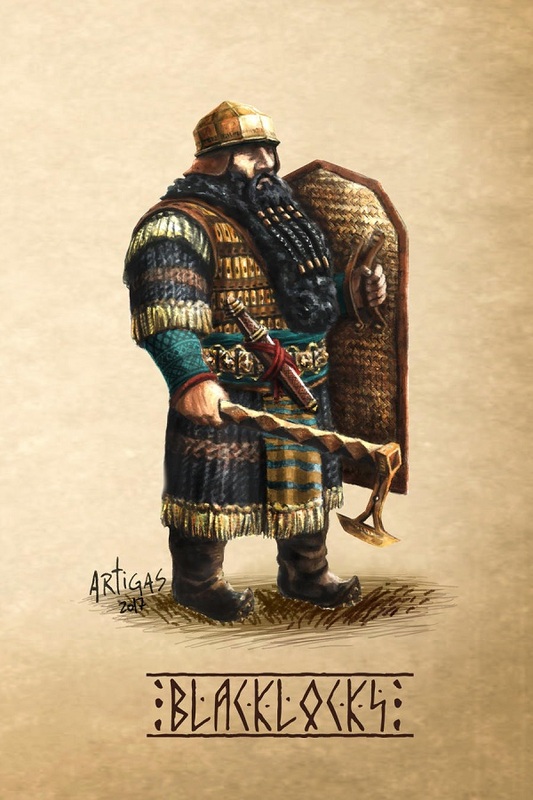 They are a very warlike and greedy people though, and are accounted to have been involved in many shameful minor wars against other clans, particularly with the Firebeards, to whom they bear a grudge and consider to be their rivals. 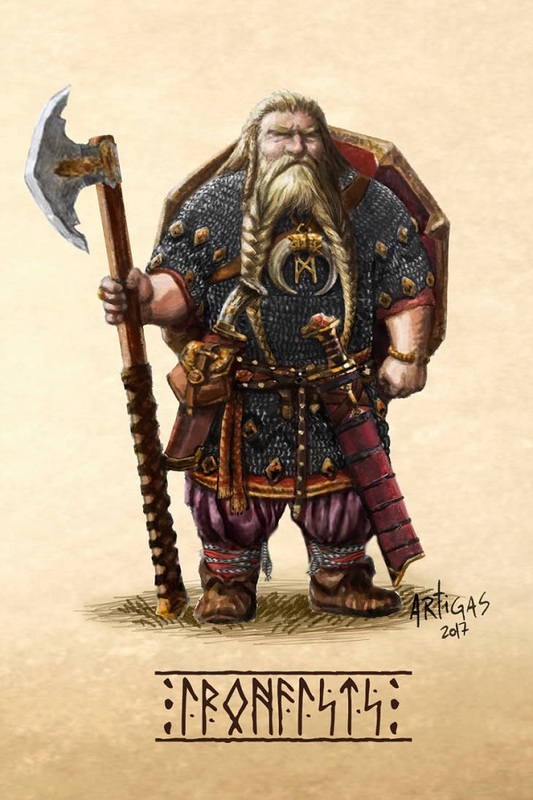 It is also with great difficulty that they accept to be ruled over by the Longbeards, and despite recognising their authority as rightful rulers of the dwarfkind, they take every opportunity they can to act independently. They were the third to come to Durin. Blacklocks: Great architects and Jewell makers that made their homes in the Mountains of Shadow’s far eastern side (Ered Glamhoth), among the remnants of Hildórien in the arid lands scorched by the never-ending sun. They were the first to develop civilization and are prodigiously rich and unbelievably proud. The Blacklocks are very famous for their wealth and the beauty of their women, considered by many to be the most beautiful of the dwarf-kind, and they guard both with extreme avarice. They were the last to answer Durin’s call, but were also the ones to bring him the most precious gifts when they finally came.They are also accused of being the “black sheep” of Durin’s folk and of being greedy and selfish, as well as of worse things such as dealing with orcs and perhaps even Mordor. Unfortunately, many times those accusations bear more than a hint of truth. Firebeards: Hot-headed, warlike and tough, Firebeards came from Nogrod (Tumunzahar) in the Blue Mountains. Supreme metalworkers, they are said to have invented maille. 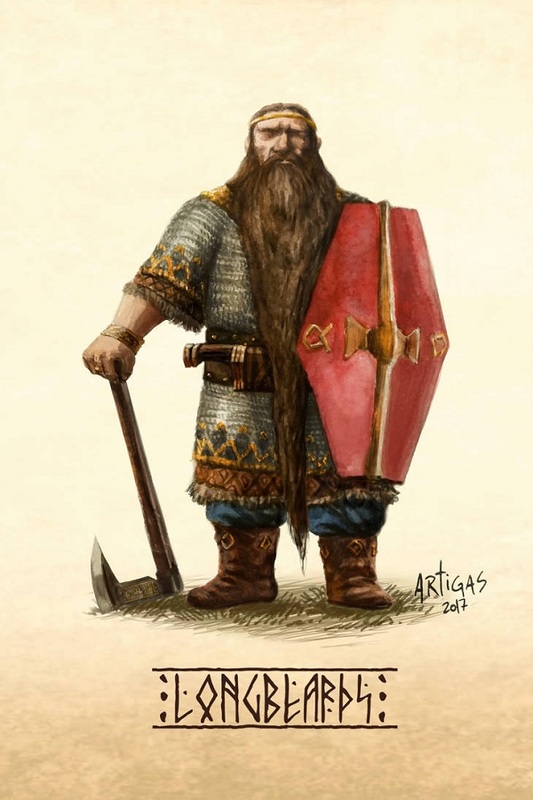 They are also hailed as the greatest Blade-smiths among Dwarves, and naturally many of the best came from their ranks, such as: Gamil Zirak (said to be the greatest of all times, maker of the knife Angrist, the sword Andúril and the Dragon-Helm of Dor-Lómin), as well as the legendary Dwarf-smiths Telchar and Garmur. They befriended the elves with whom they traded profusely, and were commissioned by King Thingol of Doriath to delve Menegroth as well as to create treasuries and weapons for him. The necklace Nauglamír was their greatest creation for the King, and the cause of equally great woe. They were the second to answer Durin’s call, and brought with them copper as a gift to the father, making them the first to understand the mystery of metal. 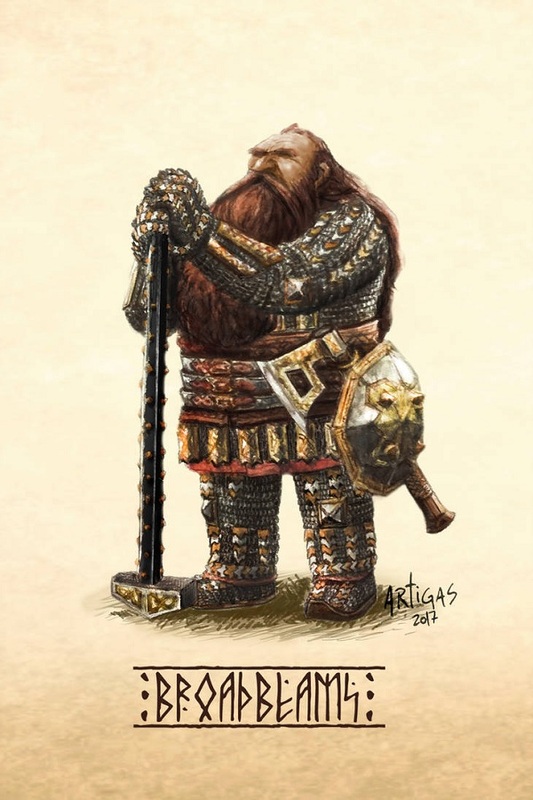 Broadbeams: Great merchants from Zirakbhund (Mallost) and later Mount Dolmed in the Ered Luin, they were Founders of the great city of Belegost (Gabilgathol). The Broadbeams are well known for their wealth, their prosperity, and the formidable fortresses they have built. They are also widely respected for their military might, and in particular for their legendary Dragon-Warriors. They are also considered the greatest armourers the dwarves had ever produced and were the creators of the fearsome Dwarf-Masks. Most prominent among the Broadbeams was King Azaghâl who wounded Glaurung the Dragon, and whose Dragon-helm was later passed down to Turin Turambar as part of his family heirloom. Stonefoots: They are the somewhat less developed branch of Durin’s folk, widely regarded as great miners, gem cutters and delvers. 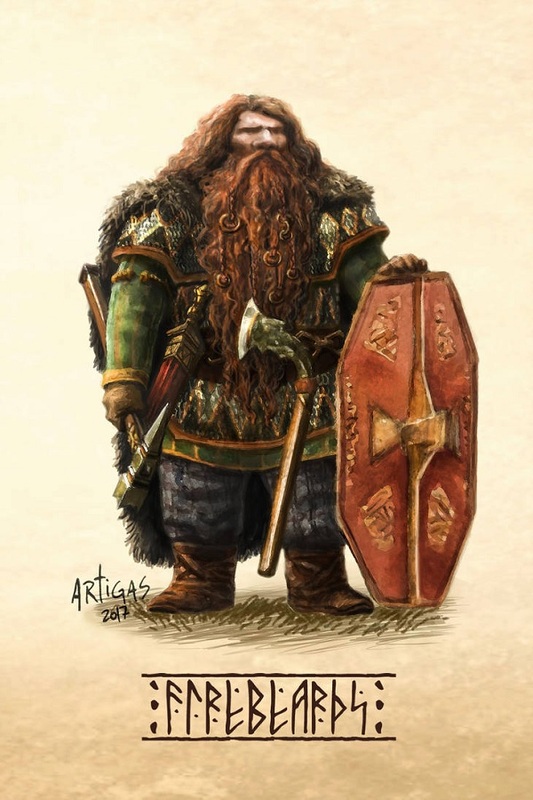 They are otherwise considered by many to be quite simple-minded, stubborn and difficult to deal with, but despite that they are greatly favoured by the Longbeards, which hold them in high regard as dependable and trustworthy allies, for they were the first to answer Durin’s call, bringing with them nothing but their loyalty. They dwell on the southern part of the Orocani on the east side, near the pinewoods and shores of the sea of Rûn. 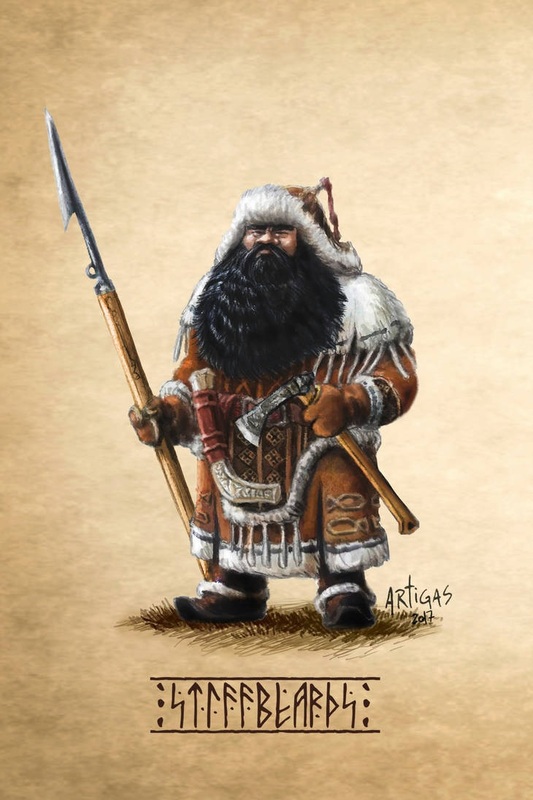 Stiffbeards: Renowned Craftsman, they make their homes in ice caves on the vast frozen lands up north, starting around the ice bay of Forochel and all the way down in between the mountains of Angmar and the grey mountains (Ered Mithrim). Very secretive and peaceful, they avoid taking part in any troubles from the outside world at all costs. Despite their secretive ways, they are also accomplished merchants, and regularly travel vast spans of the frozen lands to trade with many diverse cultures. The items they create from exotic materials such as Ivory and bones from sea monsters are very sought after, in particular their fabled toys. Stiffbeards are ultimately free spirits, lovers of music, stories and the tribe above everything else.